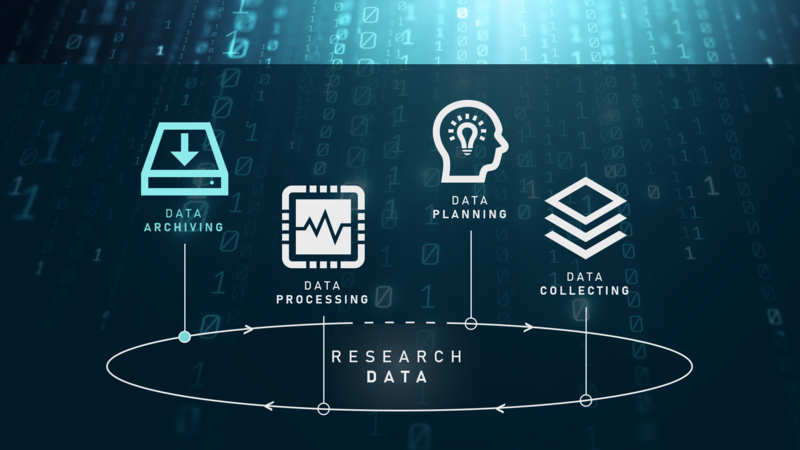 The Research Data Archive is a repository of valuable research data. Approved academically funded researchers will be allowed to deposit published research data in the archive. To upload and publish data, users are required to authenticate themselves via Feide or alternatively, using openIdP such as Facebook or Twitter and Linkedin accounts. The Archive is mandated to ensure the dataset remains accessible for up to 10 years after the publishing date. ​The information about the stored data (metadata) will be publicly accessible and some of the metadata will be distributed and harvested by other services. The Archive has a mandate for Open Science and we strongly recommend to give public access to the archived datasets. However the Archive also supports restricted access in specific cases, subjected to yearly revision. Download of the open access datasets is anonymous. We provide published datasets with persistent identifiers (PIDs) using the DataCite DOI service. Archiving and downloading data is free, regardless the size of the dataset. Start using the Research Archive Data now! For any questions do not hesitate to contact us. We will reply within 24 working hours. The NIRD archive is included in the Data Citation Index.